Old laundry baskets can create great painting patterns when redecorating. Just use thumb tacks to store those plastic bags in easily accessible places that don’t take up precious shelf space. Store unused cords neatly using pants hangers. Or you could dress up some toilet paper rolls and have efficient storage containers for your cords. 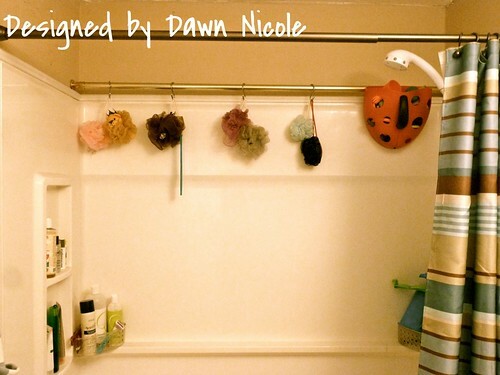 An extra curtain rod can seriously increase your shower storage space. Keep plastic bags organized using a tissue box. A command hook is all you need to store bibs within easy reach of where you need them. This brilliant idea will keep your house looking stylishly low tech even when its not. Christmas lights make great closet lighting. To hide that thermostat, use a hinged painting! Keep storage bins out of the way by storing them on your garage ceiling. Bury your spare key in a medicine bottle with a pine cone (or other small object that looks like it belongs there) glued to the end. Frame your bathroom mirror to dress up that bland bathroom. Dresser drawers make beautiful and functional shelves. 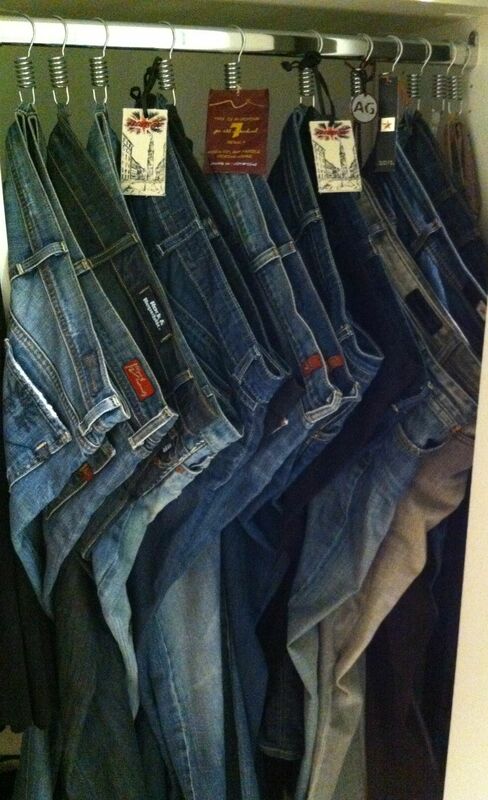 Shower hooks are far easier to use for jean storage than hangers. Don’t forget to share these ideas (and this page) with others! They will thank you for all the great ideas!